Durban Point Waterfront is envisaged to be a liveable and pleasant waterfront neighbourhood, becoming a vibrant and integral segment of the city that its citizens will own through a transformation of a unique part of prime real estate in Durban. It will become a place that attracts residents, workers and visitors alike, to enjoy the locale and all that it offers. To rejuvenate and commercialise Durban Point into a thriving and dynamic waterfront development. Creation of an attractive waterfront development with a unique blend of historic buildings and streets, infused with contemporary development and infrastructure, offering a critical element that differentiates Durban Point businesses, residences and visitors alike. Rejuvenating the Point as a vibrant and attractive tourist destination anchored by a marine theme park, beachfront retailers, 5-star hotel, international cruise terminal, parks and promenade. Creation of a highly accessible development connected by multiple transportation modes to support the mixed-use community. The new Durban Point Waterfront represents an opportunity to define a South African urbanism on a comprehensive scale that draws widely on the multiplicity of cultures that make up the city of Durban. It is envisaged to become one of Durban’s most prestigious addresses and a key tourist attraction. 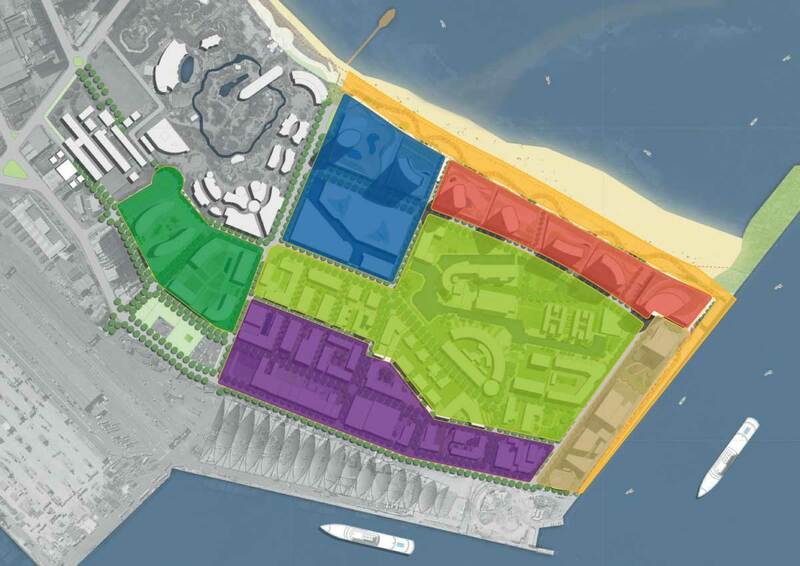 Durban Point Waterfront is rapidly transforming into a multi-billion Rand property hotspot. The new master plan involves creating an entirely new neighbourhood adjacent to the CBD for “live, work and play” and will expand the development opportunities for the city to grow. This will create an unprecedented opportunity for inner city living and a tremendous opportunity for the city to allow for a full, healthy mix of all sectors of the society to inhabit the inner city so they can benefit from their proximity to the beach and the harbour, without the constraints that have hampered this area in the past. The master plan could simultaneously satisfy the housing demands for the rapidly urbanising city, and also offer new employment and entertainment venues that could redefine the city. This could create a high demand as a densely populated suburb similar to Surfers Paradise on the Gold Coast and the Copacobana in Rio de Janeiro. The rejuvenation will create a new address, but more importantly a new image for the city of Durban, with the proposed developments at the Point being an inextricable part.